New Jersey – National Filipino youth organization, Anakbayan-USA, calls on the Filipino youth and community to organize and struggle for genuine immigration reform. This, according to the youth group, is in response to President Barack Obama’s recent executive order concerning DREAM Act eligible youth, called Deferred Action for Childhood Arrivals or DACA. “Seeing the thousands of youth lining up to apply for deferred action only reaffirms the need to organize and intensify our struggle for genuine immigration reform,” said Yves Nibungco, national chairperson of Anakbayan-USA. “Clearly, DeferredAction is not the DREAM Act and it is most certainly not a path to legalization for our brothers and sisters,” Nibungco continued. 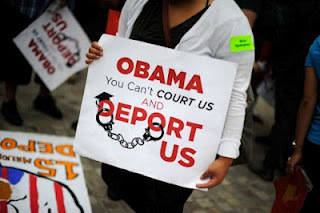 Deferred Action is an executive order by President Obama relieving DREAM Act eligible youth under age 31 from deportation providing that they qualify and fulfill its requirements. It also allows them to apply for a work permit and in some states, a driver’s license. This application comes with a fee of $465. An estimated 1.7 million youth are supposed to benefit from this administrative relief. But according to Anakbayan-USA, this recent development is a clear political maneuver by Obama in relation to the upcoming presidential elections this November. “Deferred Action is not a gift from Obama, rather it is a testament to the strength of the collective action of thousands of immigrant youth who took to the streets to put pressure on the government,”said Nibungco. 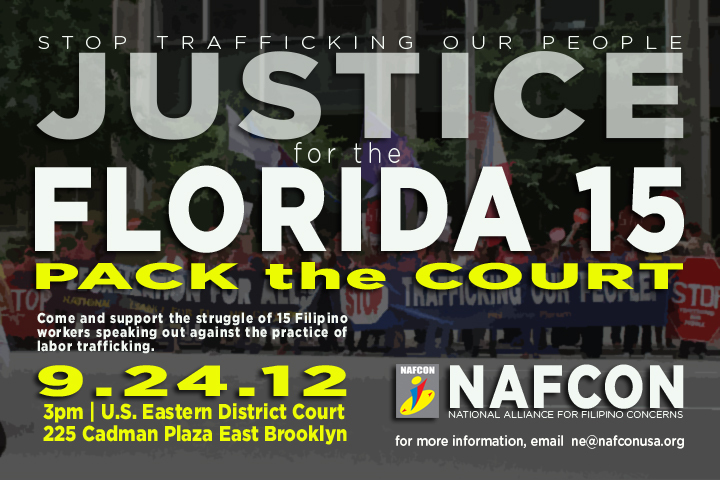 Anakbayan-USA calls on the youth to be cautious in applying for Deferred Action. As an executive order, Deferred Actionis not a law and may be subject to change at any time. According to the youth group, this makes undocumented youth serve as “political hostages” in President Obama’s bid for a second term as presidential candidate. The youth group said that immigrant communities should not forget that under Obama’s administration, 1.1 million immigrants have been deported since 2009, higher than any other president since the 1950’s. Meanwhile, presidential candidate, Mitt Romney has said that he will veto the DREAM Act if he gets elected. That is why, according to Anakbayan-USA, Filipino immigrants should join the fight and push for legalization for all. “We call on the Filipino youth and the community to come together and take a stand on the side of immigrants. Let us organize and fight for genuine immigration reform here in the U.S. and an end to the Philippine government’s exploitative labor export program,” Nibungco concluded. The United States is home to the largest population of overseas Filipinos, numbering more than 4 million. With one million estimated to be undocumented, Filipinos are heavily impacted by the current inhumane immigration system, such as decade-long waiting periods for petitions of family members, rampant detentions and deportations. 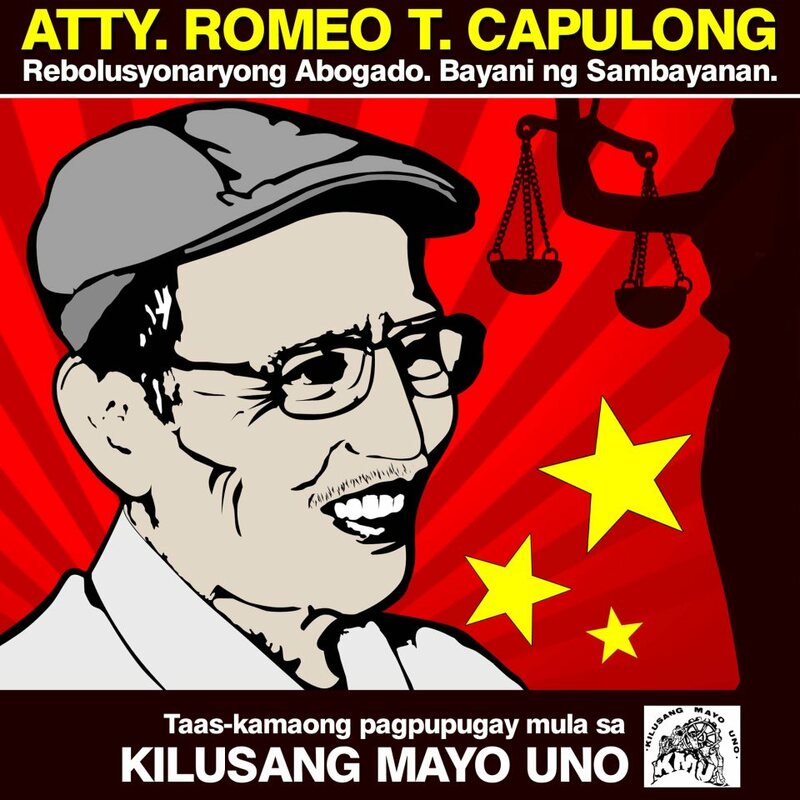 Anakbayan-USA mourns the passing away of the great people’s lawyer, Attorney Romeo T. Capulong. As Filipino youth overseas, we are inspired by his lifelong dedication to valiantly defending the rights of the oppressed and exploited in the Philippines. His courageous fighting spirit, selflessness, humility, work ethic, discipline, and thorough attention to detail are the marks of a genuine revolutionary committed to serving the people to the best of his ability. In the arena of the reactionary legal system, he was time and again able to effectively prove the justness of our people’s struggle. However, he was unwavering in asserting that the political struggle through collective action was more decisive in fighting against injustice and realizing genuine social change. He firmly believed in the strength and militant unity of the people as the primary means to achieve victory. He urged aspiring people’s lawyers to not only provide services to the poor who cannot afford legal aid, but to unite with the people’s struggle for a just and humane society that can only be achieved through a complete change of the social system. Ka Romy also demonstrated a great example of how Filipinos overseas are an integral part of the people’s movement in the Philippines. He played an important role in the fight against the Martial Law dictatorship and was forced to flee to the US in 1979, where he was granted political asylum from 1980 to 1986. As an overseas Filipino in New York, he continued to practice public interest law and defend the rights of Filipino immigrants while building international solidarity links between Philippine and US human rights organizations. At the same time, he continued to directly contribute to the struggle in the Philippines by founding the Filipino Lawyers Committee for Human Rights and documenting human rights violations committed by the Marcos dictatorship until its fall. He demonstrated the impact that Filipinos can make in the belly of the beast, and the importance of always connecting our struggles here to the primary struggle back home in our motherland. We will ensure that future generations of Filipinos in the US continue to learn about and draw inspiration from the revolutionary life Ka Romy lived. We will do our best to honor him by further arousing, organizing and mobilizing our compatriots to complete our people’s unfinished struggle for national liberation and genuine democracy. “Undocumented and Unafraid: Tam Tran, Cinthya Felix, and the Immigrant Youth Movement” is a new book was written by and about undocumented immigrant students. The book features the voices of immigrant youth leaders throughout the country who have waged a courageous campaign to secure passage of the federal Dream Act. It features two leaders of this movement, Tam Tran and Cinthya Felix, who were tragically killed in a car accident in May 2010. Both were UCLA alumni who went on to prestigious graduate schools and both played a pivotal role in the immigrant youth movement. The book event will also provide an update on the recent decision by the Obama Administration to stop the deportation of Dream Act eligible students and to grant them work authorization. This change in policy will potentially impact more than one million immigrant youth, and represents the most significant change in immigration policy in 26 years. 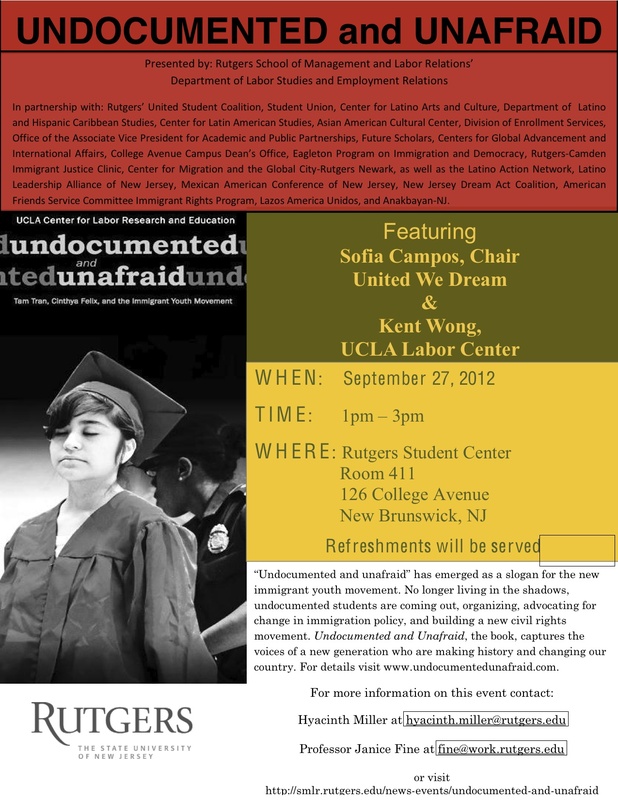 This event will feature leaders of the immigrant youth movement who helped to secure this victory. The book event will feature UCLA Labor Center director Kent Wong, student authors and editors of the book, and short video clips capturing the spirit and power of the immigrant youth movement. Pack the Court! Support the Florida 15 Workers! 15 Filipino workers are speaking out against a corrupt recruitment agency that have victimized hundreds of migrant workers. This will be the first court hearing of the Florida 15 workers and it is very important that we show our support for them and for the long struggle for justice! Come out and show your support on their first court hearing. Let us pack the court! With the growing number of incidents of police brutality in New York, it is a must that we take care of each other and watch each others backs. 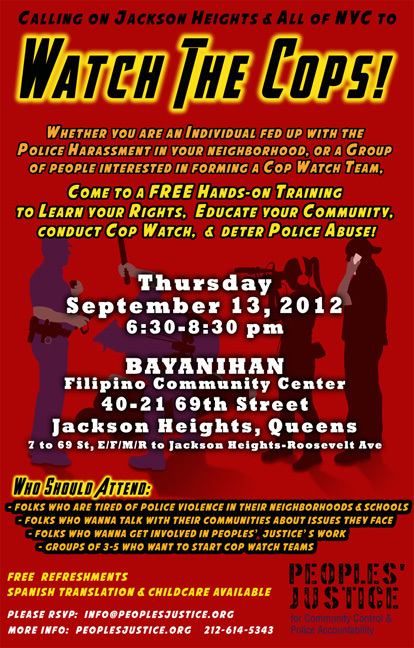 So come thru this free training that aims to empower ourselves and our communities against state-sponsored repression and police abuse. This coming Friday, September 7, tune in to the second episode of the only national Filipino youth radio show in the US. 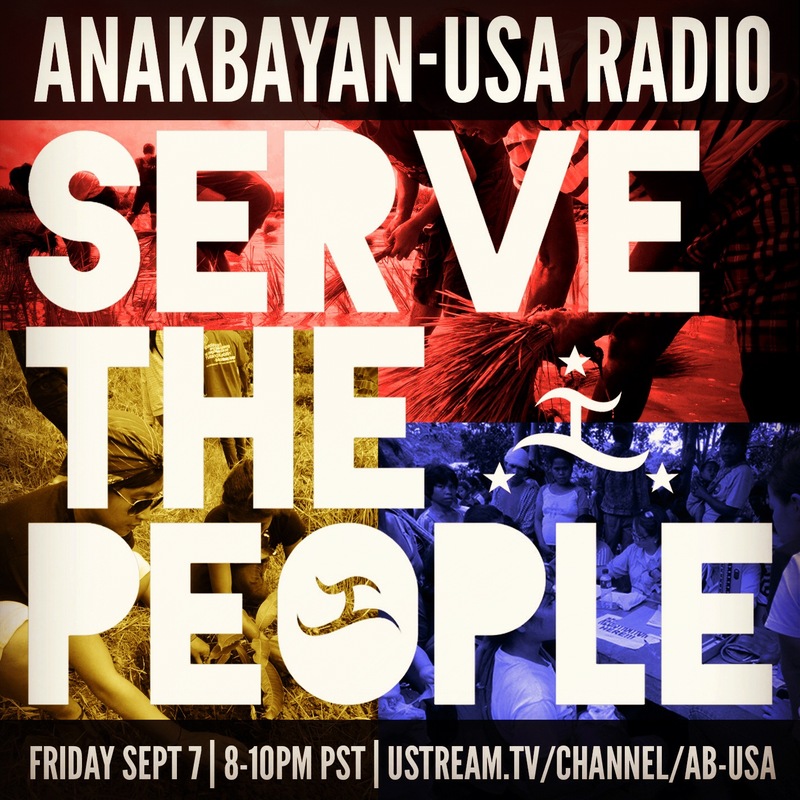 This month’s theme is “Serve the People” featuring interviews with Anakbayan members who just returned from their exposure trip and medical mission in Davao City, Philippines, as well as reports from local community work across the US. Listen to progressive, socially-relevant music, timely analysis and news reports from the ground from across the U.S. by our local Anakbayan chapters and allies. BONUS: Tune in an let us know what does it mean for you to “SERVE THE PEOPLE”? We’d like to hear from you!